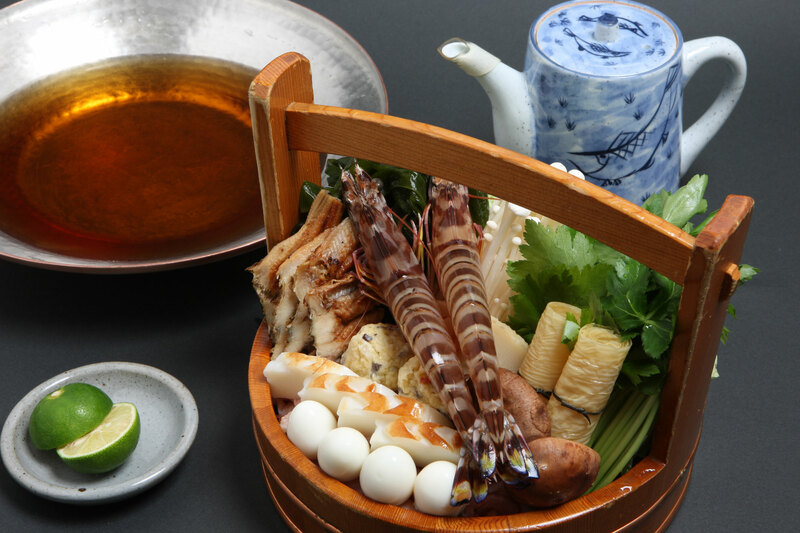 : prawn, chicken, shoots, fried Tofu stuffed with vegetables, wakame seaweed, Chinese cabbage, etc….will be served in a beautiful brass pan with soup. 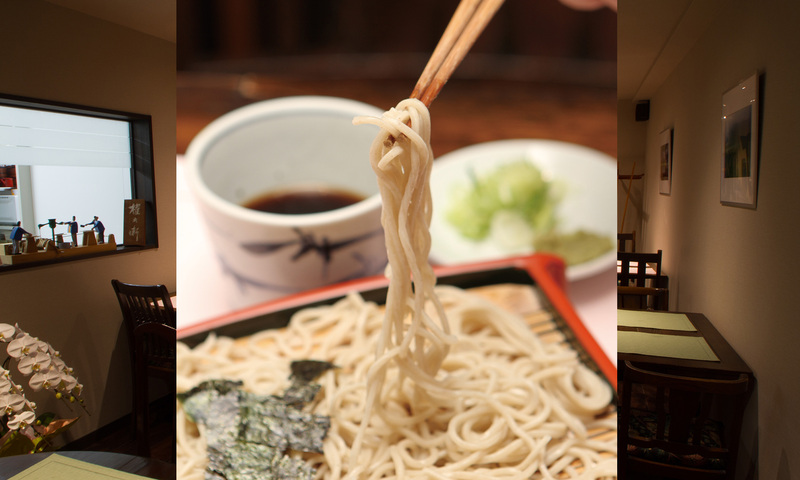 Later, UDON will be served too. “NAMA-TAMAGO-WA-DAME-DESU”, if you can not eat raw egg or partly cooked egg, then you will get well cooked one (raw yolk won’t be served). *When this Restaurant is crowded, you may sit with other guests at the same table, then you can share good taste & happy time.